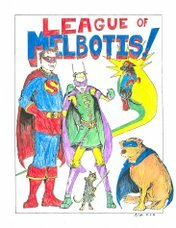 League of Melbotis: Viva La Gorbie! Now if they could only teach that version of the fall of communism in school, I bet you we wouldn't see kids so disinterested in history. By the way, it is just amazing that people can just see videos and stuff like this so easy now. 10 years ago I would never of been able to watch such creativity. Viva the interwebs. Long live Al Gore. I'm so glad that I had a role in helping cleavage the size of Siberia come to LoM. Indeed, Peabo. I would be curious to see a similar treatment of, say, the Continental Congress. It was interesting reading that the guy basically used consumer-grade tools to produce the video. That's awesome. And, Steven, if buxom women is what it takes to please my readership, buxom women is what I shall provide.